The era of Zbigniew Brzezinski, American diplomat, strategist and former national security advisor, could be called the qualifying round ahead of the grand geopolitical chess championship that has just begun. Zbigniew Brzezinski’s passing prompted some observers to assume that the era of the Grand Chess game has come to an end; however, John Bosnitch, a Canadian journalist and political consultant, believes otherwise. 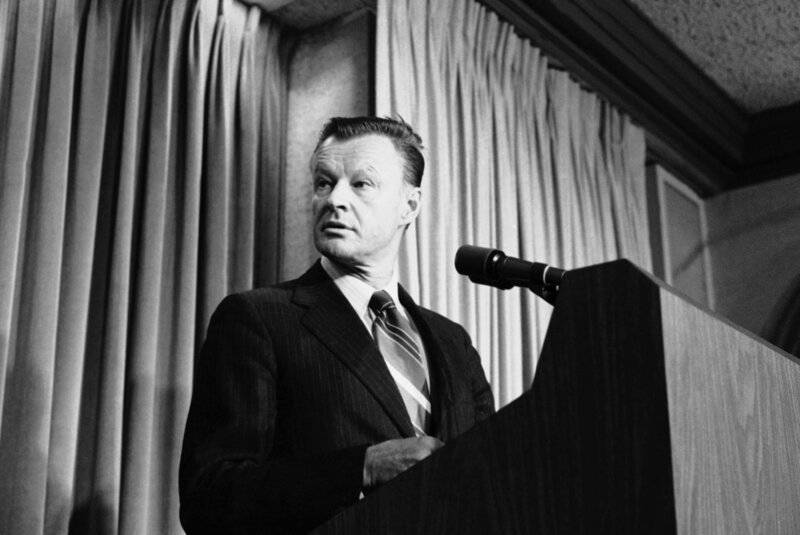 Brzezinski had a long and eventful life: the Polish-American politician served as a Counselor to US President Lyndon B. Johnson from 1966 to 1968 and then was President Jimmy Carter’s National Security Advisor from 1977 to 1981. 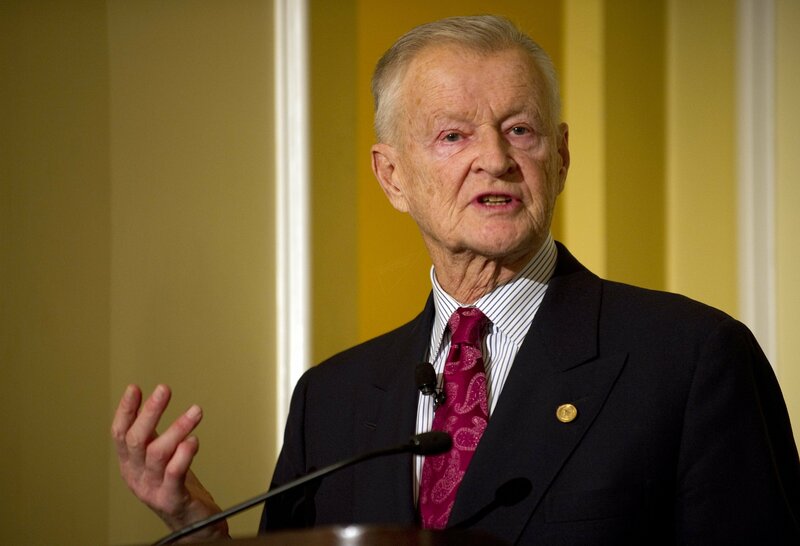 In the following years, Brzezinski continued to play a significant role in US foreign affairs. But that’s half the story. “He helped destroy the Soviet Union. He made the Vatican an overt partner in CIA subterfuge on the international scene. He planned and executed a Vietnam-style debacle for Russia in Afghanistan. He led in forming the Trilateral Commission to bring Japan into full military partnership with Washington. He centralized decision-making in the hands of anachronistic monarchs, corrupt financial oligarchs, and mafia-linked death squads in Central America, Kosovo, Chechnya and the Philippines. He was directly involved in planning the Obama regime’s coup in the Ukraine. He tried to coordinate a similar coup against [Russian President Vladimir] Putin via CIA-run so-called NGOs [non-governmental organizations] in Russia,” Bosnitch elaborated. Meanwhile, it appears that Brzezinski’s followers lack both his keen intellect and powerful personality. “His disciples, including Madeleine Albright, are of a much lower IQ, and therefore cannot achieve the same results… thereby losing the gambit for Ukraine, losing the effort to topple [Syrian President Bashar] Assad, and now even losing the US hold on political policy in Turkey, which is the biggest reversal of US power in the region in decades,” Bosnitch observed. History has shown that Russian President Vladimir Putin turned out to be a worthy opponent to the geopolitical grandmaster. “President Putin has demonstrated repeatedly that he is a much more skilled strategist and policy master than Brzezinski ever was. The threat of complete destruction led the Russian leadership to abandon the Communist system and to instead elevate a competent young man named Vladimir Putin as a final end to the faltering seniority system of the former Communist gerontocracy (rule by the very old),” the Canadian journalist said. In his 2015 interview with Sputnik Bosnitch revealed that his father, Political Science Professor Dr. Sava Bosnitch, had a younger classmate from Poland in his Master of Arts (MA) degree class at McGill University in Montreal. That classmate was Zbigniew Brzezinski. Despite their diametrically opposite views, the two men had remained in contact for years. “My father said that Brzezinski was a very intelligent friend during their common opposition to the Soviet Union and an ideological foe once Putin built the new Russia. He said that despite his brilliance, Zbig could not overcome his personal biases of extreme Roman Catholicism, Russophobia, and a blind faith in the kleptocracy of American capitalism. And it was those failings that caused Zbig to lose ground in Washington,” Bosnitch recalled, adding that Hillary Clinton — the candidate Brzezinski placed a bet on — lost the US 2016 presidential election in part because of Zbig’s hardline attitude towards Russia. However, while being a talented geopolitician Brzezinski at the same time had the guts to recognize his own strategic mistakes. “Zbig recognized that his views were outdated and discredited, writing a corrective sequel to his imperialist book ‘The Grand Chessboard’. The later book Strategic Vision: America and the Crisis of Global Power admits Zbig’s earlier errors, but could not stop the consequences of his overly aggressive policy… an error so big that it allowed Russia to build a much more powerful alliance, BRICS, to reverse the American Century,” the journalist told Sputnik. “Zbig sought a powerful Poland holding the center of Europe. He sought a weak and divided Russia. 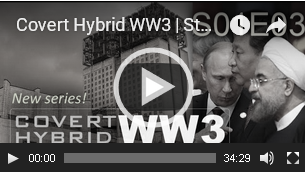 He sought to feed a war between Russia and China. And he wanted former neutrals like Japan, Africa, and South America to remain US-only zones. In each of these areas, he failed. His near-rabid hatred of Russia stems from the historic divisions of Poland between Russia and Germany over history, combined with his standard Anglo-American imperialist and Vatican-opportunist view that Russia had to be destroyed to maintain the Holy Roman Empire reconstructed in the form of the EU and NATO,” the political consultant noted. Can we expect that the anti-Russian strategy maintained by Brzezinski will be replaced anytime soon with a more pragmatist attitude toward Russia in the West? “It is indeed already being replaced by Trump, who realizes that without some cooperation with Russia, both the West and the European East will suffer, while China grows to massive proportions quietly in the background,” Bosnitch responded. “Trump’s main policy goal is to unite with Russia to limit Asia’s rise to international dominance. If he fails, the next hundred years will be known as the ‘Chinese Era’ and both Russia and America will fade into insignificance within 25 years at the latest,” the Canadian journalist concluded. Of course, we disagree on that last paragraph. One cannot make a good conclusion about China using Western doctrines. China is wise enough to see the folly of hegemony and wants multipolarity instead. That’s the only way she can secure her borders, i.e. by making her neighbors relatively progressive than they are now. Previous PostSPIEF 2017: More Guests, High Expectations, Search for New Balance, & Putin’s BestNext PostWhy Qatar is thrown out from Middle East Terror, Inc.? Vladimir Putin was playing 3-dimensional chess on a global board while Zbig Brzezinski was playing 2-dimensional chess on a Polish Catholic board. Zbig had blind spots that Putin could see. Either nobody told Zbig the emperor had no clothes on, or he would not listen to them. In the photo at the head of this article, the focus is on Putin and the flag with Saint George killing the Dragon or an equivalent Knight in blue cape killing a black dragon or serpent, a very prescient symbol. It brings to mind the portrait of Andrew Jackson that President Trump put in the Oval Office of the White House as soon as he moved in. Andrew Jackson and Czar Nicholas of Russia had something in common. No doubt Hillary’s loss left him crestfallen and expedited his death. While certainly true that Zbig had a certifiably insane amount of hatred, I wish people would stop saying things like “he used the white house to further his own ends.” Only the goals and wishes of the bloodline banksters are what “makes things happen.” He and Kissinger seem to be at an extremely high level, essentially higher than the white house; but definitely subservient to the banksters. Let’s tell it like it is. So he’s dead, so what? The bloodlines have survived for thousands of years; it’s not like they don’t know how to perpetuate their lineage and evil over changes of generational leaders. Same with David Rockefeller, who WAS on the level of the banksters. When analysts claim his death “left a gaping hole,” they’re being very unrealistic, IMO. I TRIED READING Zbigniew Brzezinski’s BOOK THE “GRAND CHESSBOARD”. 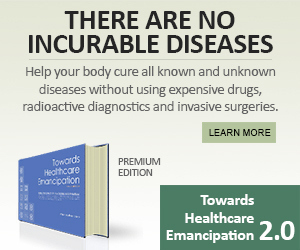 THE MAN IS EGOMONIC–A PARANOID SCHIZOPHRENIC. HE TALKS DOWN TO HIS READER AS IF WE WOULD NEVER BE ABLE TO COPREHEND HIS BRILLIANT VISION. WHILE AT THE SAME TIME TALKING TO US AS IF WE ARE HIS BELOVED CHILDREN THAT HE WANTS TO PROTECT FROM EVIL. THE MAN WAS INTO MIND CONTROL FOR SURE AND TRYING TO START SOME SORT OF CULT WORSHIP. AND HIS STUPID VISION WAS JUST A REHASH OF IMPERIALISM AND COLD WAR JINGOISM. LIKE MILTON FRIEDMAN Zbigniew Brzezinski A USEFUL IDIOT TO THE MULTINATIONALS AND BILLIONAIRES.